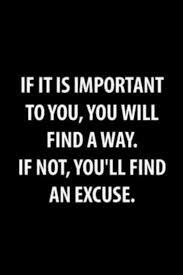 These excuses are like aspirin for Tooth aches, It may ease the pain for a while , but the problem remains the same. Their are buyers in any market ALL of the time. Dont allow excuses to drive your thinking. When it takes over your mind your production will follow. Can I reach more people? Can I polish my pitch? Can I sling more effort at it ?